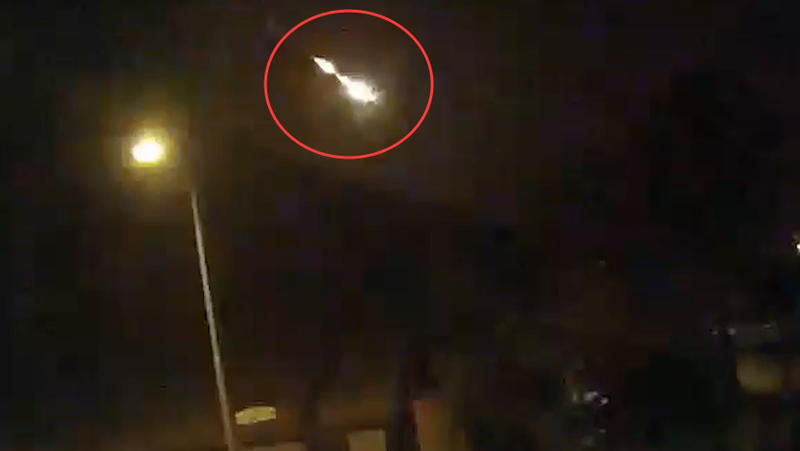 UFO SIGHTINGS DAILY: Nest Cam Catches Huge UFO Or Meteor Over Arizona (6/1/2016), Video, UFO Sighting News. Nest Cam Catches Huge UFO Or Meteor Over Arizona (6/1/2016), Video, UFO Sighting News. This nest cam caught a UFO flying across the sky. It could be a meteor and it could also be a UFO. UFOs entering the Earths atmosphere will want to make themselves appear like a meteor...simple camouflage to confuse those who see them. Humans use mind games all the time, so its no surprise to see aliens using them. Meteor? Or aliens? Nest Cam clips capture light show over Arizona last week.